Meet KIAMBANG, our new 2017 Collection! Made of matte sponge satin, gives it a very exclusive look. It is breathable in Malaysia’s weather especially, crease-free and requires minimal ironing. KIAMBANG is called such because of its design that gives a flowy effect. 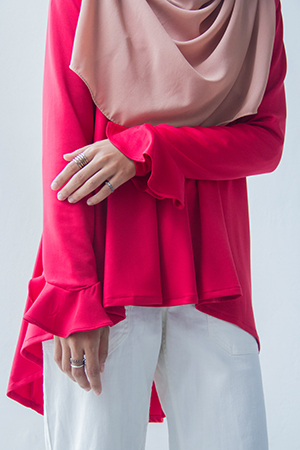 Worry not, the sleeves are stretchable for wudhu’. Match with your daughter(s) with KIAMBANG Esabel.